beauty in real life...: happy father's day! We would like to wish all of the fathers out there, a Happy Father's Day! We'd love to tell our own hubbies (Big L and TGT) how much we love them and think that they are unbelievable fathers. To our own Dads (Christine's is in sunny Florida....Jennifer's sadly passed away last Summer) we love you and thank you for being the wonderful fathers that you are (and were). In case someone out there is still searching for a last minute amazing Father's Day gift. 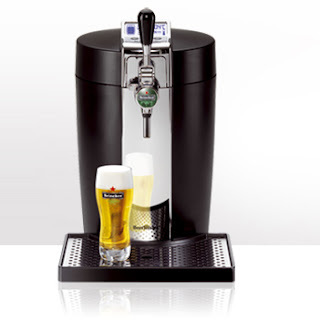 Look no further than Krups Beertender ($299.99). I mean...really...he'll pass out when he opens this.